We offer a range of housing to suit your individual requirements. On this page you will find a selection of our houses. Some are designed as beautiful items of garden furniture, others are more utilitarian. All are made to our exacting standards. If you don't see precisely what you're looking for, please let us know. We are happy to change our designs to meet your specific needs. If you would like to commission us to build a custom designed house, we'd be happy to talk to you about whatever you have in mind. The Hartford is a great looking and practical house. 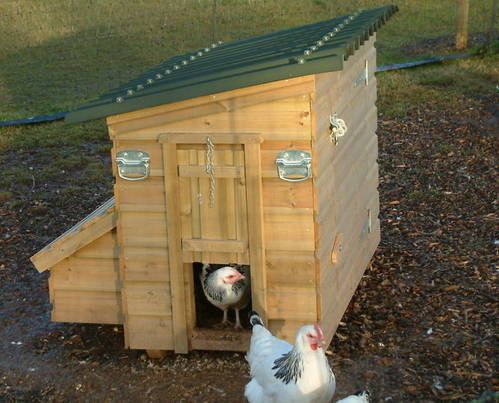 It's suitable for up to 6 chickens. It is easy to clean since there's no bending involved. 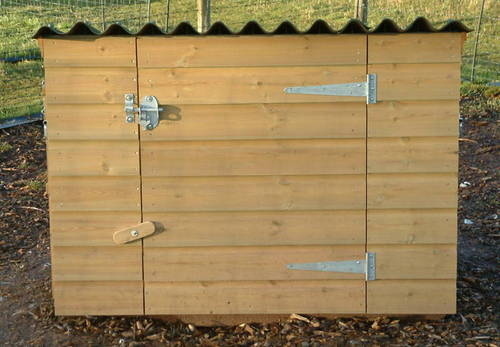 The Hartford Run is made specifically for The Hartford and, when used together, provides plenty of secure space to keep your birds safe and sound. 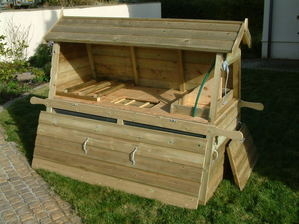 The Potting Coop is a fun, fairytale design of house that looks fabulous when set in a cottage garden. 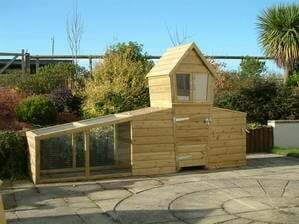 Ideal for a trio of Bantams, with their quarters in the lower half of the house, clear fronted upper potting shed, chicken run and bin store. Everything you need to look after your birds and plants together - how great is that! 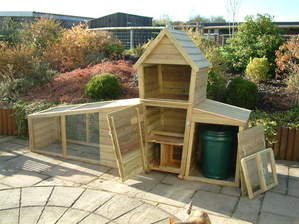 The Layers House is the largest of those we build and is suitable for up to 30 hens. 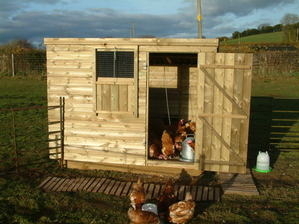 It is ideal those people wishing to begin a small-scale egg production unit. We use these for our own laying flock. 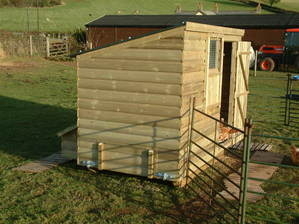 The Utility House is our most popular house, being practical and excellent value for money. 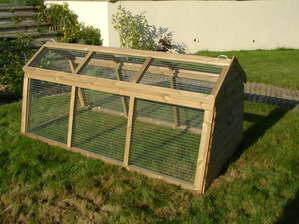 These units come in two sizes, suitable for up to six standard chickens.